Located on the ground floor of a 5 storey 1950’s residential block, La Galleria used to be a small yet vibrant covered commercial thoroughfare in the heart of the city. 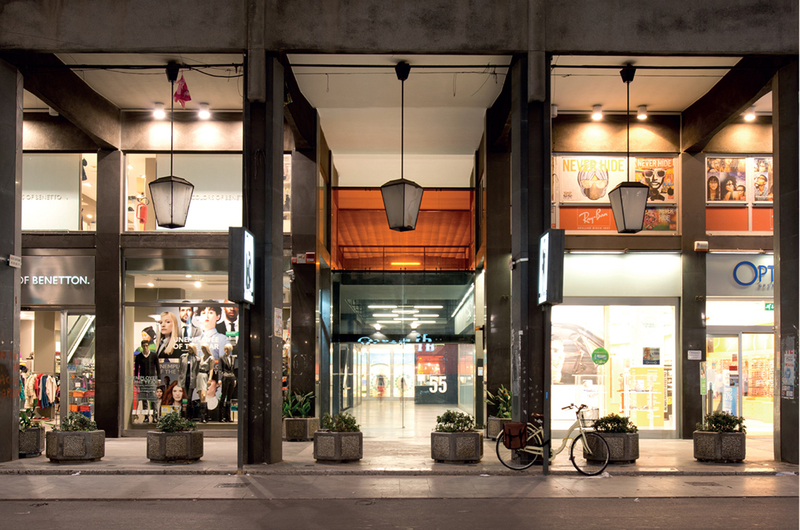 When two international retailers bought all the available units, the historic entrances to the shops were closed off and the showcases facing the inside of the space were no longer put to use.Imposing gates were raised, La Galleria ceased to be a public space and the passageway, which also serves as the entrance to homes and offices above, fell into almost complete darkness. Owners and tenants became concerned for their safety. 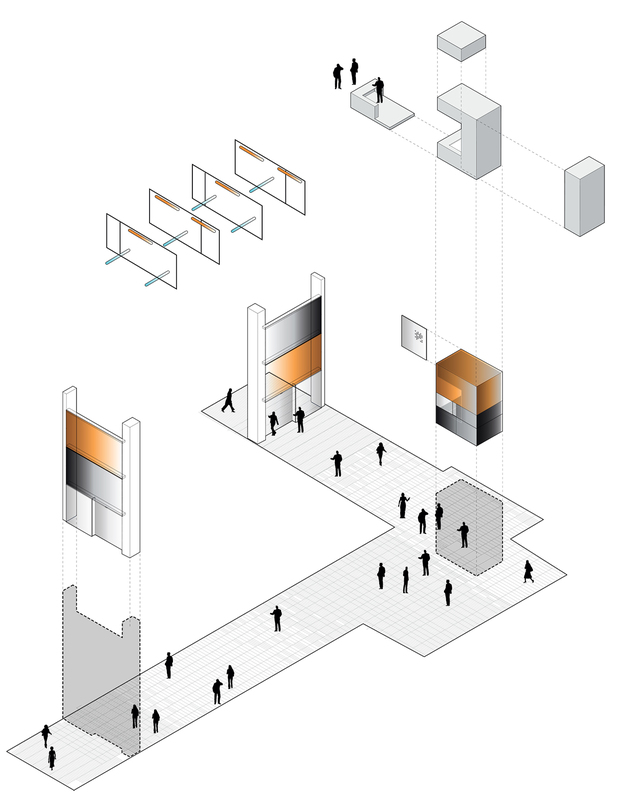 This project aimed to reopen the inside space, visually at least if not physically, while protecting it from the practical problem of wind and dust and also limiting the number of people going in and out. 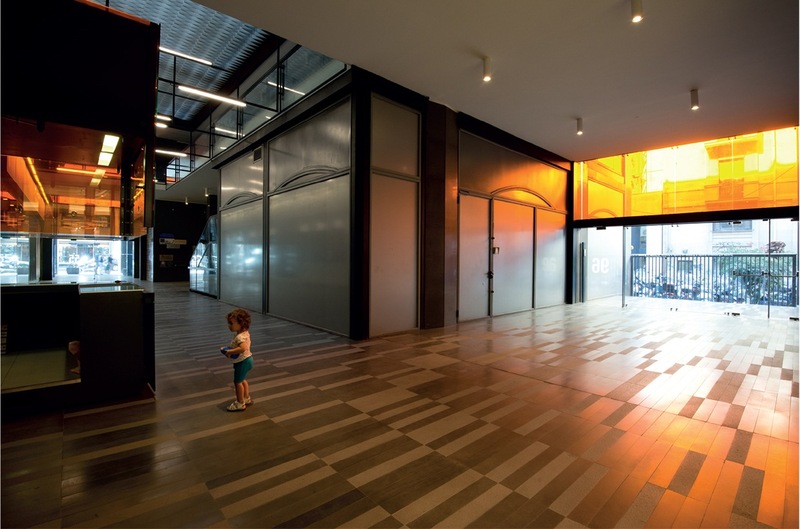 New two-tone basalt flooring with its pseudo-random pattern gives fluidity to the space. 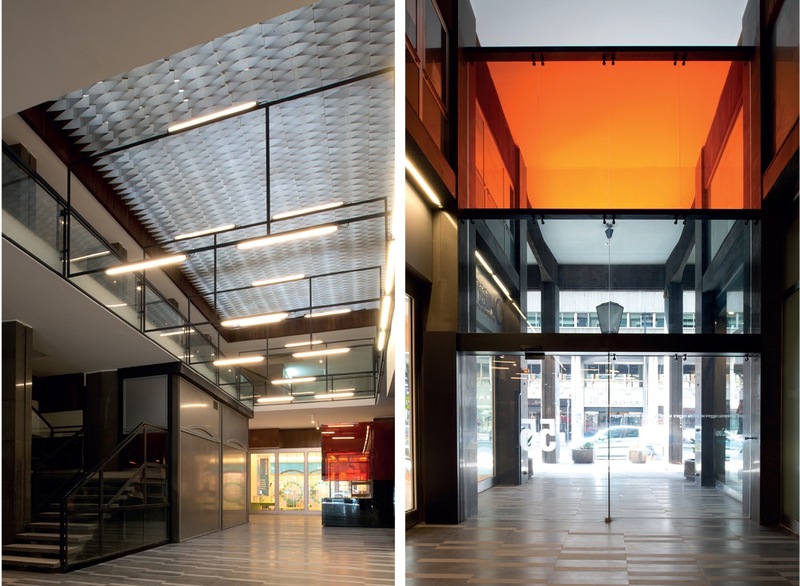 Two glass sliding doors at each end control the flow of air and people.The daylight filters through a double-height bright amber glass panel placed above the glass sliding door, bathing the atrium with a warm tone. Glasses panels of the same amber colour wrap a purpose-built porter’s lodge. Finally, a cluster of fluore- scent tubes provides artificial light at night.